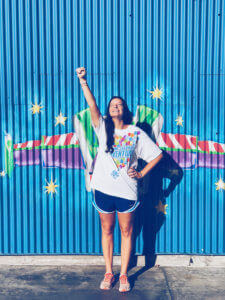 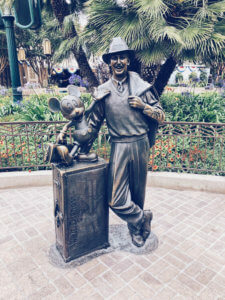 After growing up in Walt Disney World and learning all the facts about Walt Disney himself, I was so excited to plan a trip to Disneyland as a part of our honeymoon! 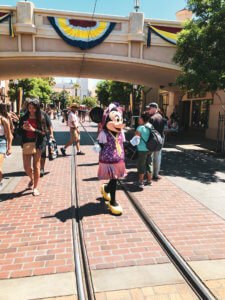 We spent about 2 and a half days at Disneyland exploring both parks and the Downtown Disney area! 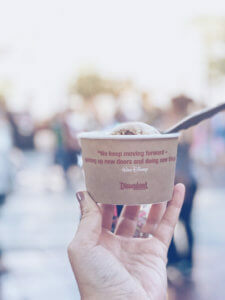 I’m here to share with you what I loved about Disneyland (and what I didn’t) and some of our favorite things from the trip. 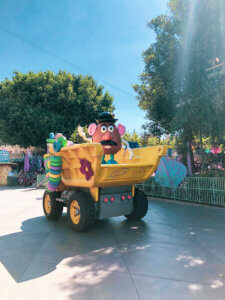 This was my first ever trip to Disneyland. 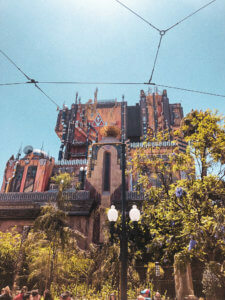 I had some decently high expectations, and I was told many times to not expect much of it compared to Disney World. 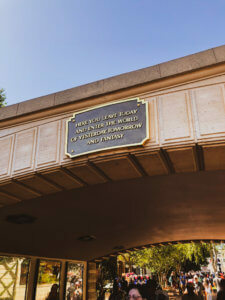 While my heart will always be in Disney World, there is just something magical about being in the park that Walt made from scratch and walked the streets of. 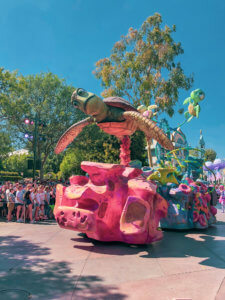 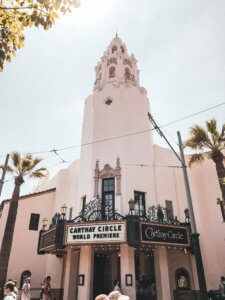 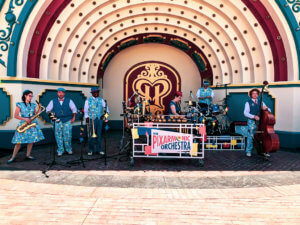 Tradition, history, and charm seep from every corner of this park, while bringing your favorite classic rides and incorporating newer characters and movies into the park. 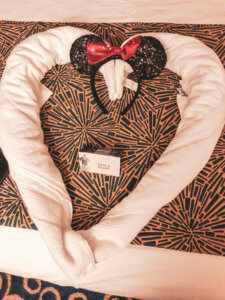 For lodging, we chose to stay at the Disneyland Hotel! 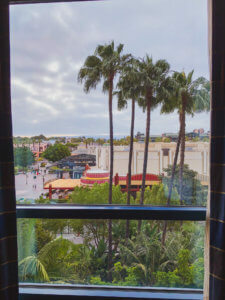 We had a beautiful view of Downtown Disney, and we were just steps away from the entrance into Downtown Disney. 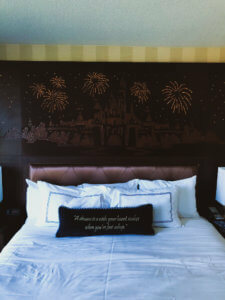 Disneyland Hotel represents the essence of Disney with singing, light-up headboards, classic Disney style, and historic photos in your room. 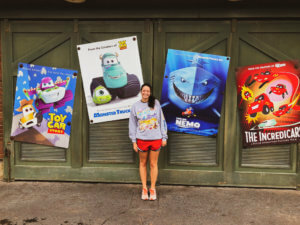 Honestly I really just wanted to stay here for the headboard, and let me tell you, it met every expectation and more. 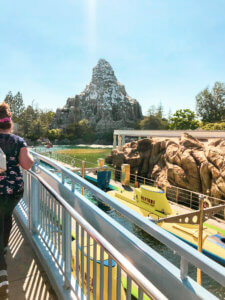 Disneyland is wonderful because it is a much smaller park, and you are *literally* steps away from everything! 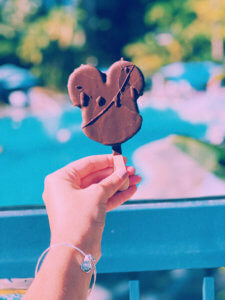 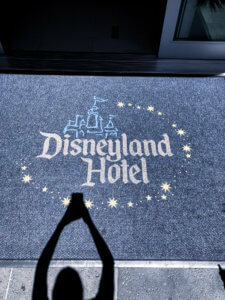 Disneyland hotel was an 8/10 for me, and I absolutely loved it! 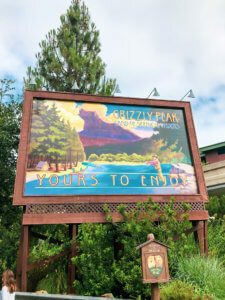 After seeing Grand Californian Hotel & Spa, I definitely think it is also worth a stay! 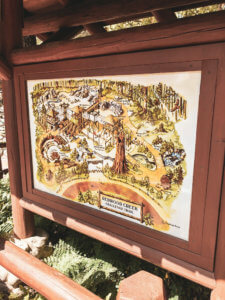 It had all the feels of Disney World’s Wilderness Lodge while being mere steps away from Disney California Adventure Park. 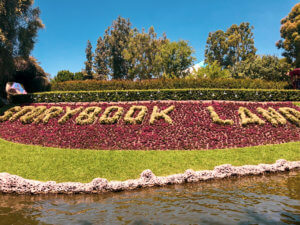 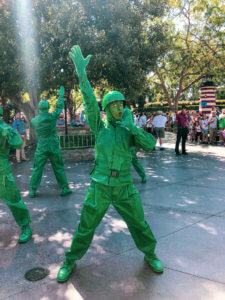 It is on my Disneyland bucket list! 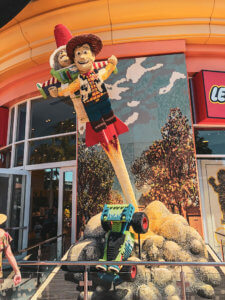 Downtown Disney was fun, but was majorly under construction when we went (mainly the World of Disney). 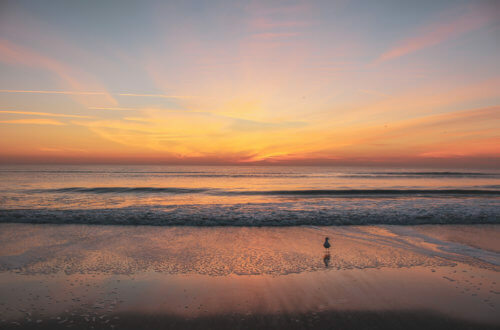 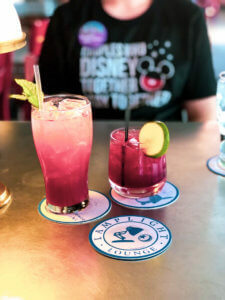 Downtown Disney definitely has nothing on Disney Springs in Florida, but there were a couple special parts to it that made it worth the visit! 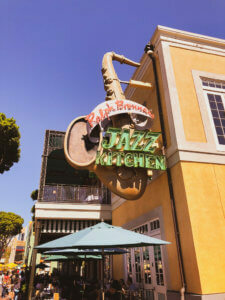 We ate at Ralph Brennan’s Jazz Kitchen in Downtown Disney our first night at Disneyland, and we are still obsessed with this place. 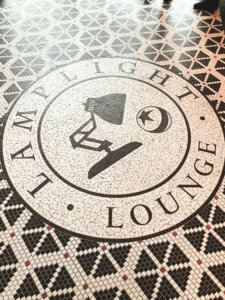 Any fan of live music would have the time of their life here. 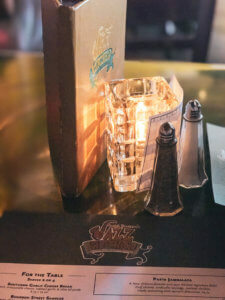 We sat right by the piano, and we were serenaded with sweet, jazzy melodies throughout the evening. 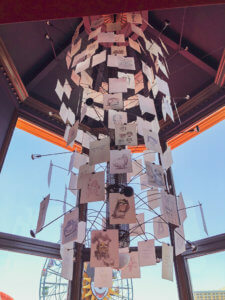 The food was incredible, the service was exceptional, and we stayed here for hours just to enjoy the experience. 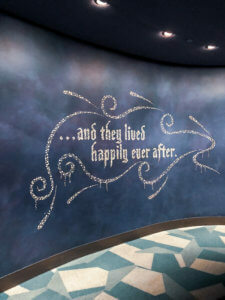 I dream about this place and the bananas foster dessert which they make right in front of your table! 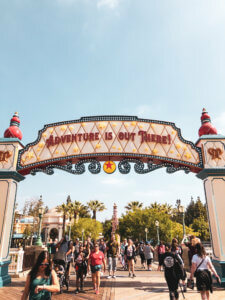 Our first full day we spent mostly at Disney California Adventure! 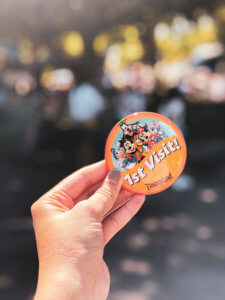 We chose to buy park hopper tickets since we were only going to be in the parks for two days, and we knew you could get through all the rides in each park in under a day. 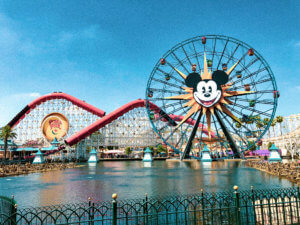 Out of the two parks, Disney California Adventure was easily my favorite. 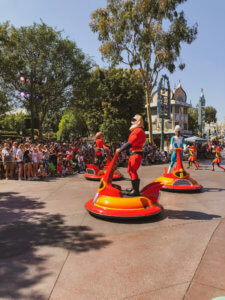 It had some of the best rides, and it was just very different from any of the other Disney parks! 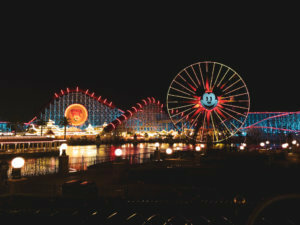 I absolutely loved California Adventure mainly for the newly refurbished Pixar Pier. 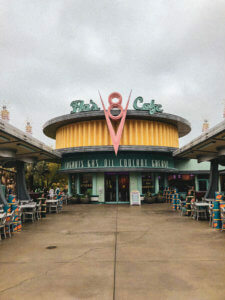 We had a breakfast at Flo’s V8 Cafe since that is one of the few places in California Adventure you can get breakfast. 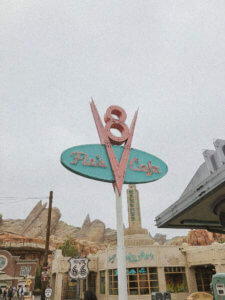 I thought the food was just okay, but the view was amazing (right in front of Radiator Springs Racers). 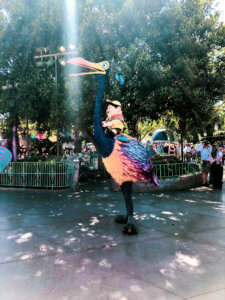 The atmosphere was peaceful because it was such an early morning and the park was pretty much empty! 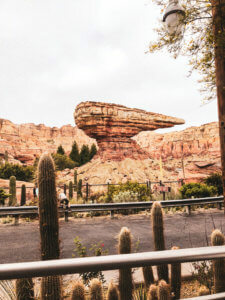 Cars Land overall was so much fun! 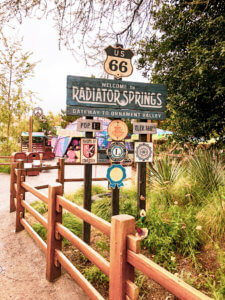 We had a fastpass for Radiator Springs Racers, and we both loved it. 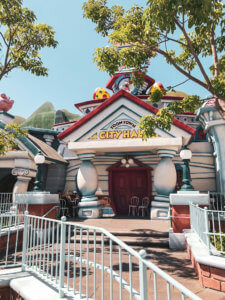 It was such good theming overall, and you could tell all of the kids that rode it had the time of their life. 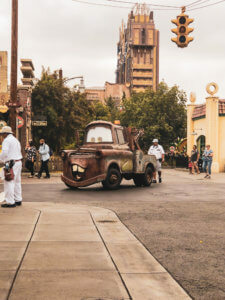 While walking around Cars Land, we even saw a couple of famous characters like Mater and Lightning McQueen riding down the road. 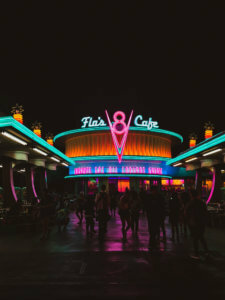 All of the theming in Cars Land is on point, and it is even more beautiful at night! 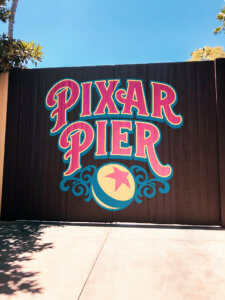 Out of all the lands though, Pixar Pier was easily my favorite area in this park. 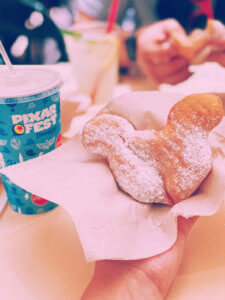 It is so magical, with carnival games, live performers, and some of the best food I have ever had at Disney! 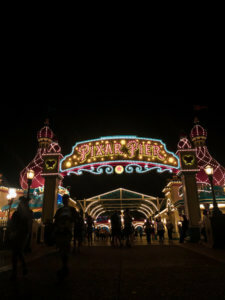 I have a million pictures from this land to showcasing all of the amazing parts to the pier that I will include at the bottom of this post! 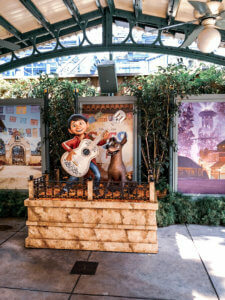 During the planning for this trip, I was so disappointed that Cove Bar was closed for construction. 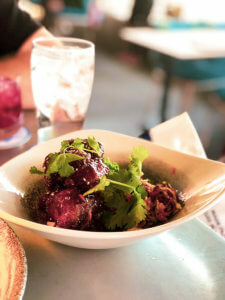 I had heard rave reviews about the amazing food, and it was on the top of my list to try for our trip. 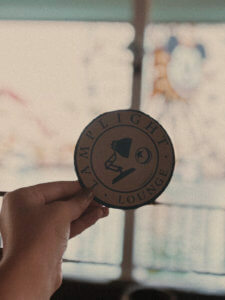 I was so excited when, two weeks before our trip, Lamplight Lounge opened in Cove Bar’s place. 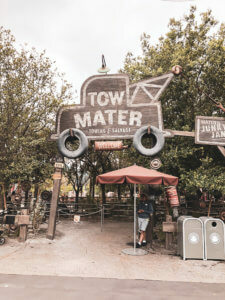 We were able to book reservations for our trip, and I am so glad we did because it was the best food we had at the park! 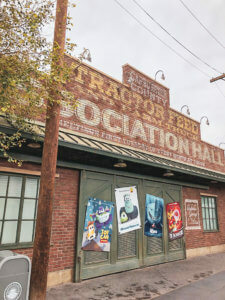 Disney once again came out with the best theming for this restaurant, bringing all of our favorite Pixar movies and characters to life through the menu and the decor. 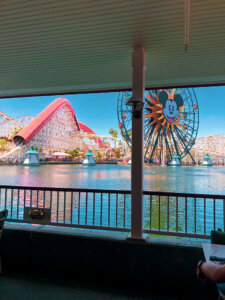 The view was absolutely incredible right in front of Pixar Pier with the best view of Incredicoaster. 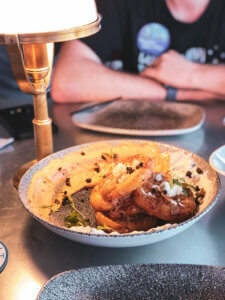 We mostly tried appetizers and drinks as a midday pick me up! 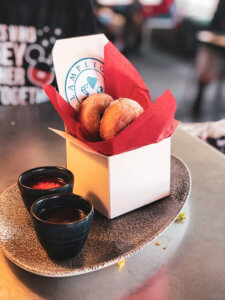 Some of the dishes we were able to try were the Crispy Piggy Wings, Potato Skins, and the Donuts for dessert. 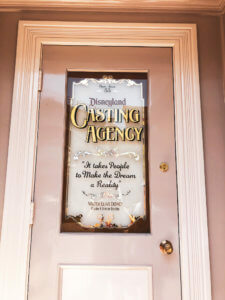 This a must try restaurant at Disneyland, and make sure you get reservations in advance because it is always busy! 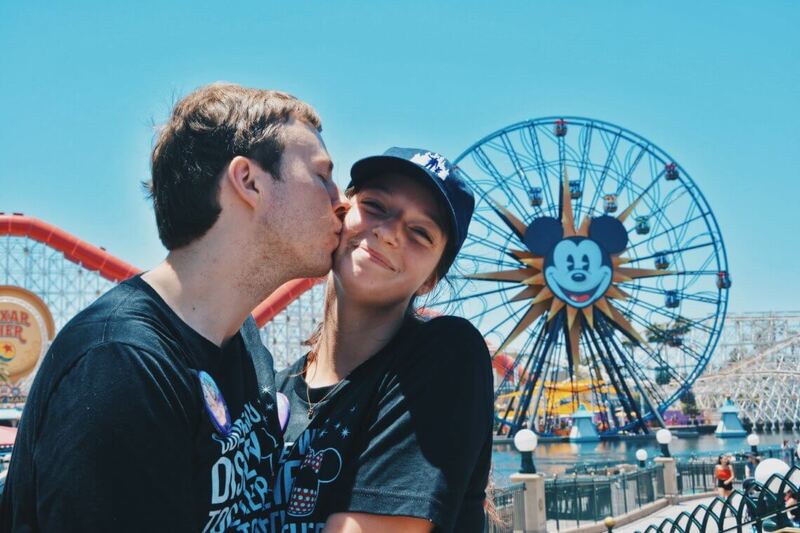 We spent most of our time at Disneyland on our second day! 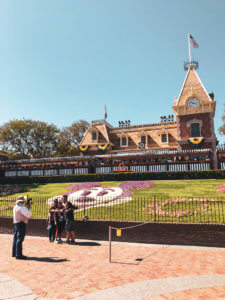 It definitely is a little underwhelming to walk down Main Street USA in Disneyland, but the castle is just so cute and pink! 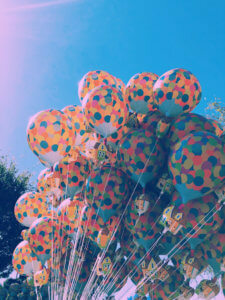 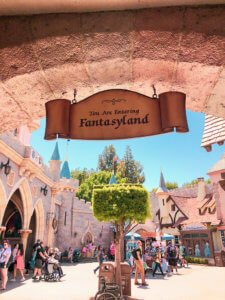 The one word that was perfect to describe Disneyland was “charming”. 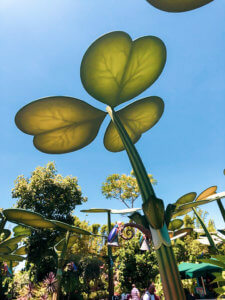 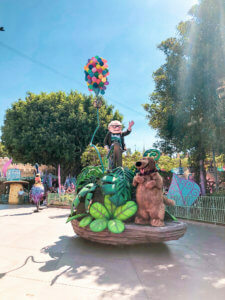 While smaller in size, Disneyland has just as much heart (if not more) as Disney World. 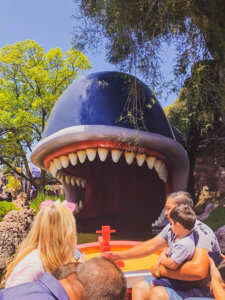 We attempted to ride the attractions that are unique to Disneyland and ones that are traditions at Disneyland (such as Pirates of the Caribbean). 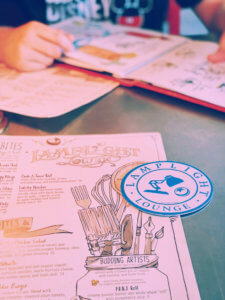 We made reservations for Carnation Cafe for breakfast this day! 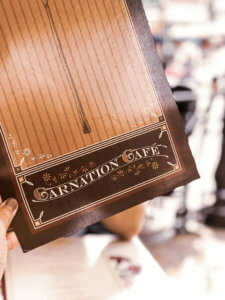 Carnation Cafe is steeped in tradition and history at Disneyland, and it is known by all big Disney fans. 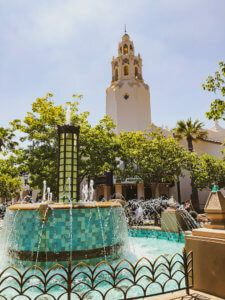 We were able to sit outside with a view of Main Street USA. 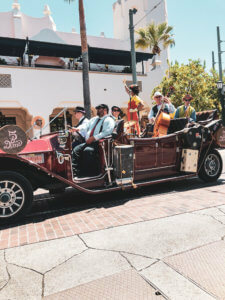 While it was a little noisy due to the proximity of Main Street, it was very charming, the service was excellent, and the food was very quintessential Disney! 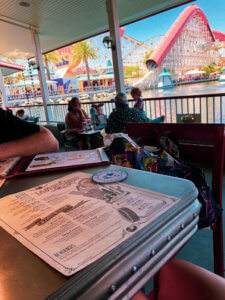 While I do not think it is a must on every trip, I can see why people love it, and every Disney fan should eat here at least once. 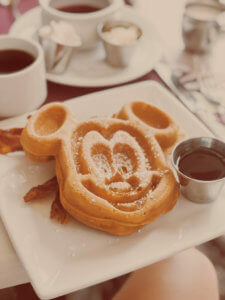 I was able to get a Mickey waffle so I was definitely a fan! 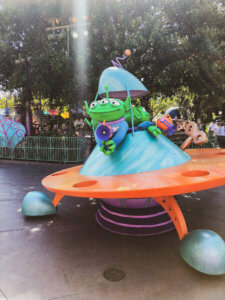 I loved the uniqueness of the attractions at Disneyland! 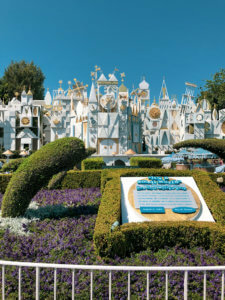 Many of the classic rides such as It’s a Small World and Mad Tea Party are just bigger, brighter, and better at Disneyland. 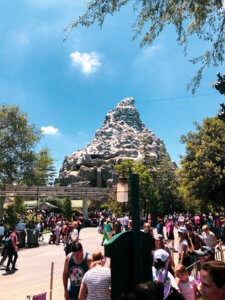 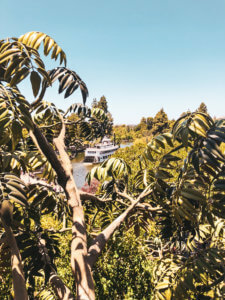 Some of my favorite attractions were the ones that were unique to Disneyland such as Alice in Wonderland, Finding Nemo Submarine Voyage, Indiana Jones Adventure, and Matterhorn Bobsleds. 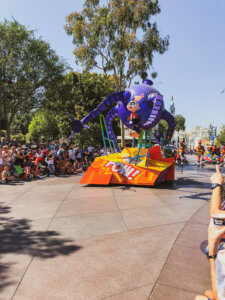 But more so than the attractions, I thought Disneyland had the leg up on shows, parades, and fireworks! 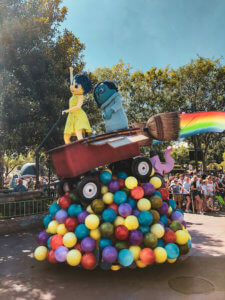 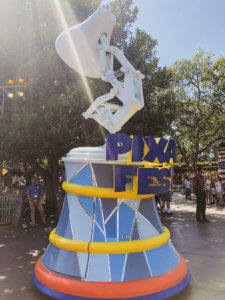 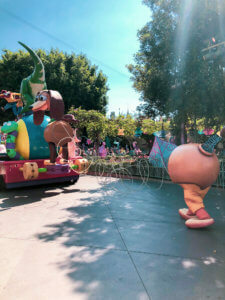 The Pixar Play parade at Disneyland was incredible, featuring all of our favorite Pixar characters and unique floats that are not like any I have seen before! 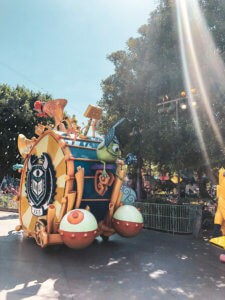 We were also able to see the Paint the Night parade in Disney California Adventure. 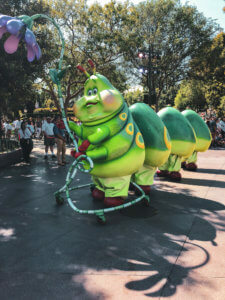 I have not seen a Disney night parade in several years, and it was so nice being able to see a new night parade! 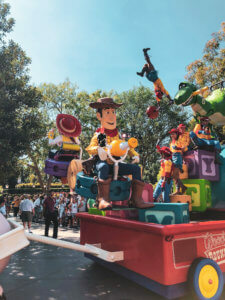 I loved the music for this parade, and thought it was amazing. 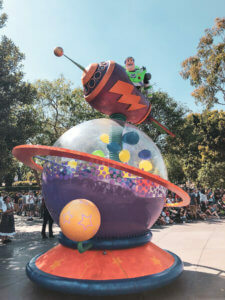 Disney World is in desperate need of a new night parade, and they should model theirs after Disneylands! 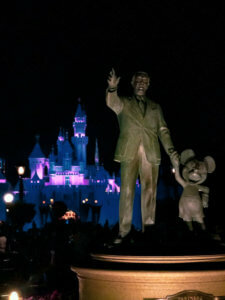 The fireworks show at Disneyland, Together Forever, was so good! 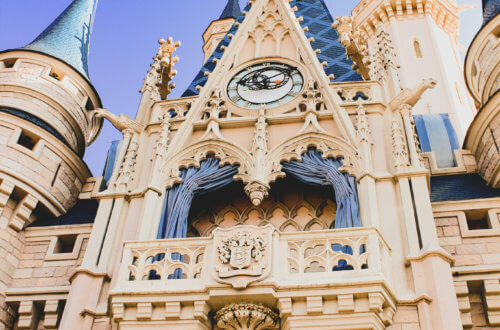 It was harder to see the visuals on the castle since it was much smaller in scale, but the fireworks show still gives you all the feels of any Disney nighttime spectacular. 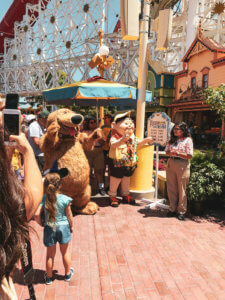 One of my favorite things we did at Disneyland was seeing Mickey and the Magical Map. 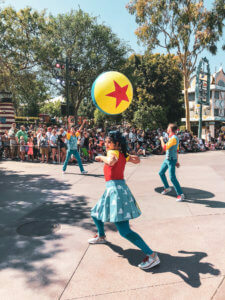 This show features Mickey and special appearances by some of the most popular Disney characters. 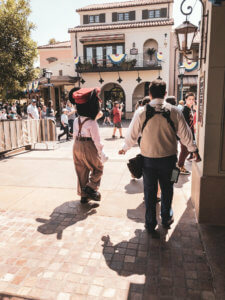 The story line was wonderful, featuring the always charming Mickey Mouse, and the music and dancing were incredible! 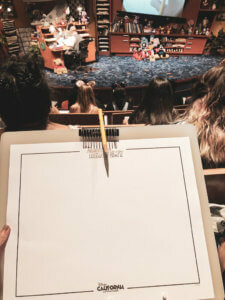 I honestly could go on for days about our Disneyland experience. 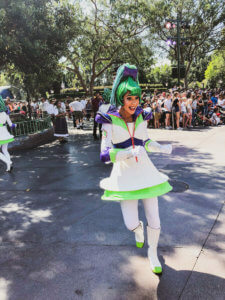 The things I loved about Disneyland= the nostalgic, charm of the parks, the FOOD, all of the dark rides, the shows/parades, all of the character appearances around the park (with no lines!). 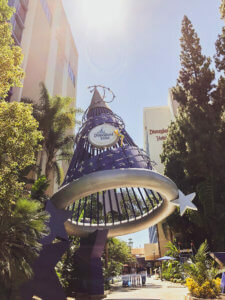 Things that could be improved at Disneyland: Downtown Disney, more things to do so that you can stay at the park all day, more official Disney resorts to stay at. 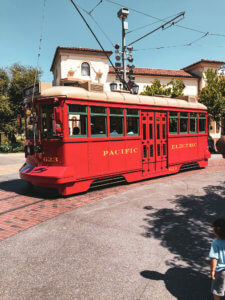 I believe that Disneyland should never be directly compared to Walt Disney World; they are two very different parks and are loved for many distinct, separate reasons. 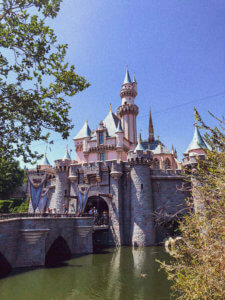 For every Disney fan, you should take a trip to Disneyland at some point in your life! 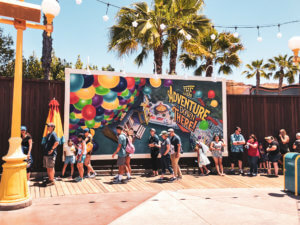 As for us, we plan to wait a couple more years for things such as Star Wars Land to be revealed before we plan another trip into the area. 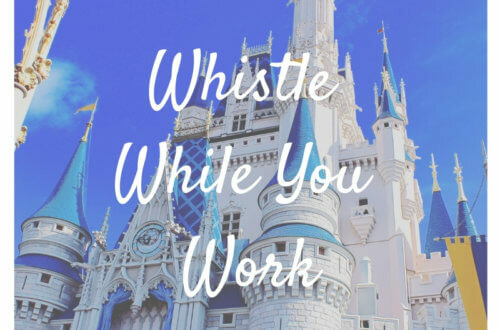 Overall our experience was magical, and Disneyland represents the essence of Walt Disney’s dream for all of the Disney company!